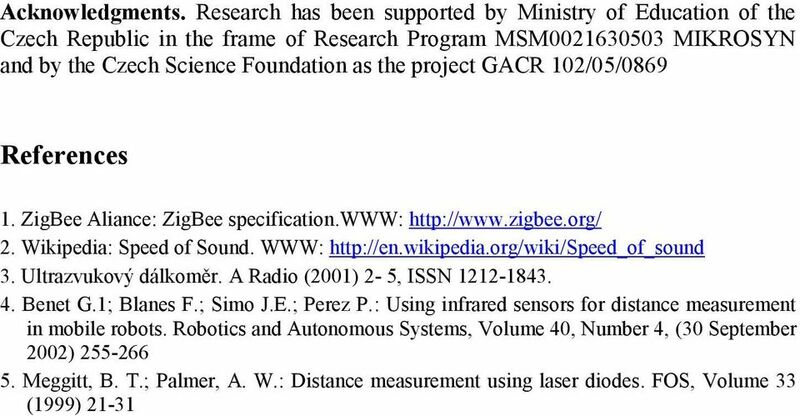 Download "Zigbee-Based Wireless Distance Measuring Sensor System"
1 Zigbee-Based Wireless Distance Measuring Sensor System Ondrej Sajdl 1, Jaromir Zak 1, Radimir Vrba 1 1 Department of Microelectronics, Brno University of Technology, FEEC, Udolni 53, Brno, Czech Republic Abstract. 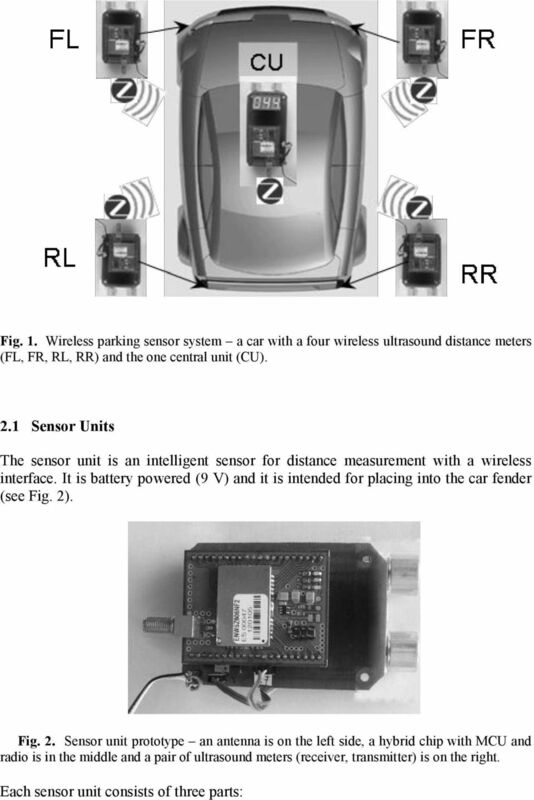 A cost effective ZigBee-based wireless parking sensor system is presented in this article. 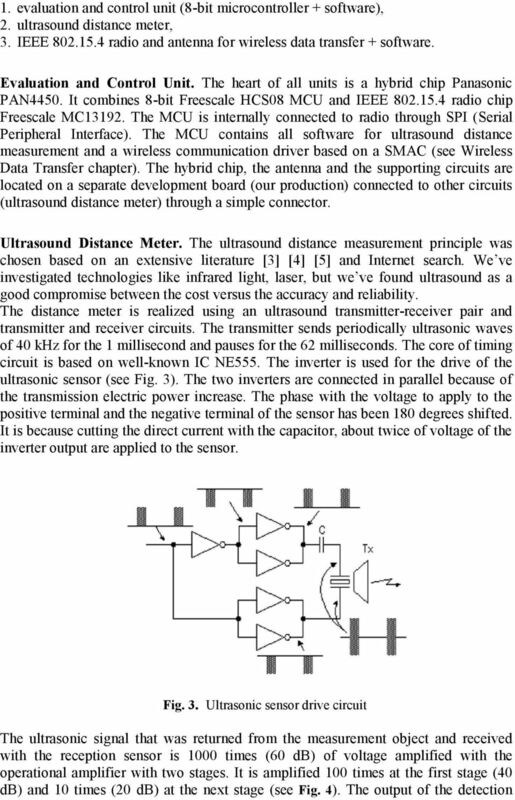 Ultrasonic transmitter and receiver are used for distance measurement. An evaluation, control and wireless data transfer are realized by one chip - Panasonic hybrid chip PAN4450 (8-bit microcontroller + IEEE radio). System consists of four independent distance sensors and one central display and control unit. 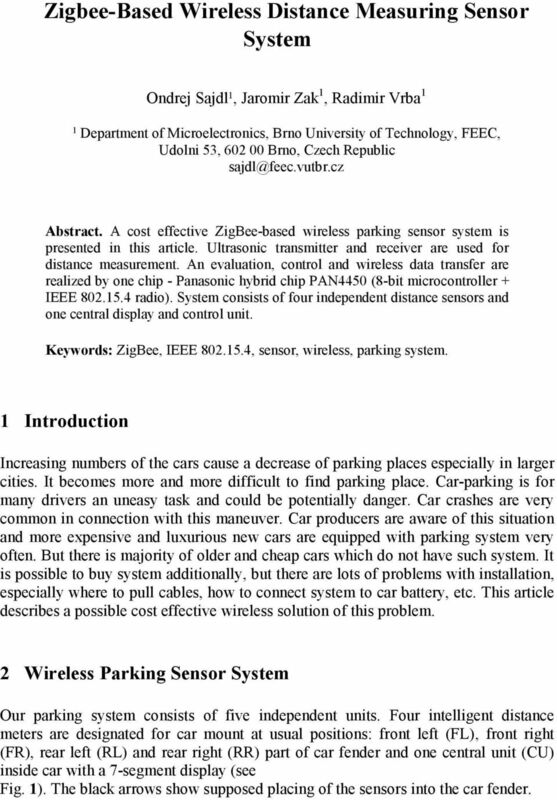 Keywords: ZigBee, IEEE , sensor, wireless, parking system. 1 Introduction Increasing numbers of the cars cause a decrease of parking places especially in larger cities. It becomes more and more difficult to find parking place. Car-parking is for many drivers an uneasy task and could be potentially danger. Car crashes are very common in connection with this maneuver. Car producers are aware of this situation and more expensive and luxurious new cars are equipped with parking system very often. But there is majority of older and cheap cars which do not have such system. It is possible to buy system additionally, but there are lots of problems with installation, especially where to pull cables, how to connect system to car battery, etc. 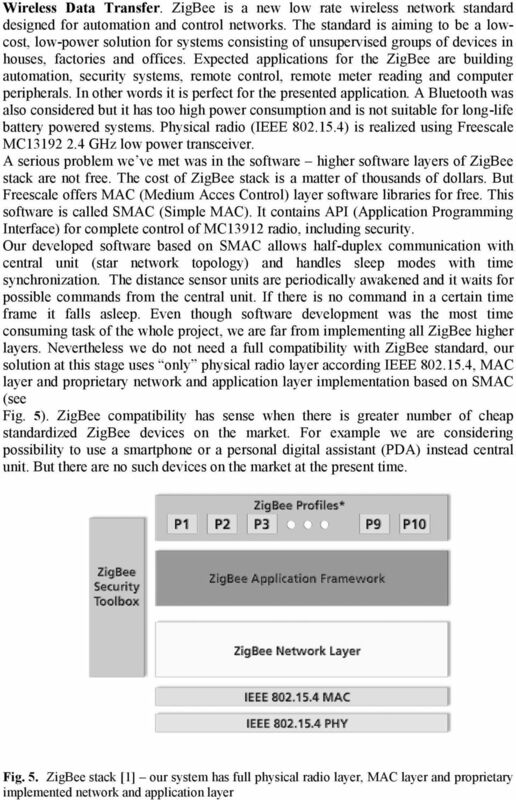 This article describes a possible cost effective wireless solution of this problem. 2 Wireless Parking Sensor System Our parking system consists of five independent units. Four intelligent distance meters are designated for car mount at usual positions: front left (FL), front right (FR), rear left (RL) and rear right (RR) part of car fender and one central unit (CU) inside car with a 7-segment display (see Fig. 1). The black arrows show supposed placing of the sensors into the car fender. 4 circuit is detected using the comparator. Signal is then converted into digital pulses using SR (the set and the reset) flip-flop. This circuit is the gate circuit to measure the time which is reflected with the measurement object and returns after sending out the ultrasonic wave. The set condition is the time which begins to let out the ultrasonic with the transmitter. It uses the transmission timing pulse. The reset condition is the time which detects the signal with the signal detector of the receiver circuit. That is, the time when the output of SR is in the ON condition and it becomes the time that returns after letting out the ultrasonic. Output of this SR is connected to MCU digital input. The MCU measures the duration of the pulses and computes the resulting distance. Fig. 4. Receiver circuit signal amplification The distance is computed based on knowledge that the speed of sound is approximately 331 m/s. This speed depends on the temperature. However, an error of approximation causes an error in distance measurement for the small distances (tens of centimeters) in maximal range of 2 centimeters in positive and negative ranges for temperature range -10 to 10 C (see Table 1). Table 1. The speed of sound for each temperature  Temperature [ C] Speed of sound [m/s] Our assumption is valid only for relatively small temperature ranges. It is true in the most European countries. 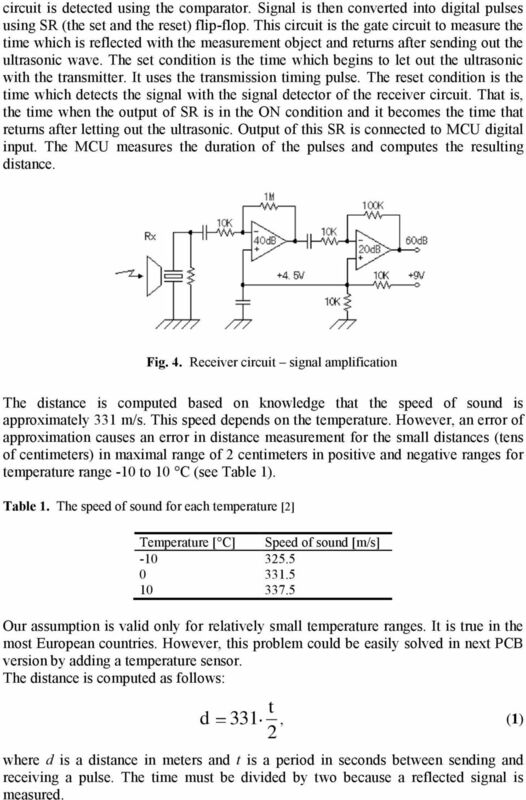 However, this problem could be easily solved in next PCB version by adding a temperature sensor. The distance is computed as follows: d 331 t, (1) 2 where d is a distance in meters and t is a period in seconds between sending and receiving a pulse. The time must be divided by two because a reflected signal is measured. 6 2.2 Central Unit The central unit is very similar to sensor unit except for missing ultrasonic circuits. Additionally it has 7-segment display for displaying measured distance. The display is connected directly to the MCU s digital outputs; there are no additional circuits. The display is controlled directly by software driver stored in MCU. The central unit is also battery powered, but because of a high power consumption of a segment display it can be also connected to a car battery (12 V) through a car fuser. The display shows a value from one sensor unit and there is a button for units switching. However, the central unit receives the values from all sensor units and if the distance is smaller than predefined value (20 centimeters) the sound alarm is triggered. A possible extension of the central unit could be taking advantage of programmable Bluetooth equipped devices - smartphones and PDAs. There is a plenty of such devices on the market and both are often used for car GPS navigation. In this case, the central unit is modified to simple ZigBee-Bluetooth converter so we can make the best of both worlds ZigBee low power consumption and Bluetooth wide spread. The measurement, the alarms and the distance displaying could be solved by software on a Bluetooth device side. Fig. 6. 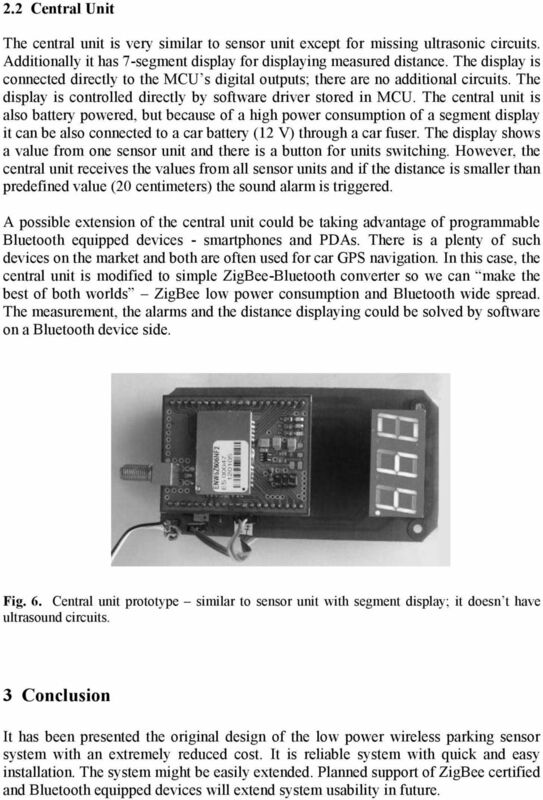 Central unit prototype similar to sensor unit with segment display; it doesn t have ultrasound circuits. 3 Conclusion It has been presented the original design of the low power wireless parking sensor system with an extremely reduced cost. It is reliable system with quick and easy installation. The system might be easily extended. 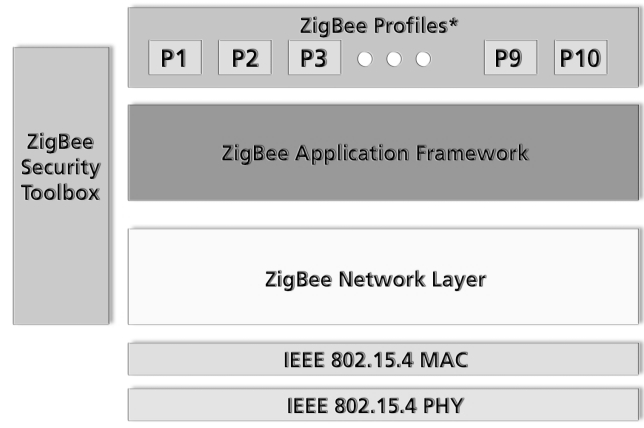 Planned support of ZigBee certified and Bluetooth equipped devices will extend system usability in future. Hello and welcome to this Renesas Interactive course, that provides an overview of the Clock Generator found on RL78 MCUs. Sending Data using RF Module. Version 1.2. Aug Cytron Technologies Sdn. Bhd. International Journal of Electronics, Communication & Instrumentation Engineering Research and Development (IJECIERD) ISSN(P): 2249-684X; ISSN(E): 2249-7951 Vol. 4, Issue 2, Apr 2014, 19-24 TJPRC Pvt. Patient Health Monitoring Using Wireless Body Area Network Hsu Myat Thwe, Hla Myo Tun Abstract: wadays, remote patient health monitoring using wireless technology plays very vigorous role in a society. Making Programmer and Basic target.